Uber’s booming business in Lagos, Nigeria, has hit a major speed bump. The local government has begun cracking down on Uber drivers, requiring them to pay huge sums to register for special taxi licenses. Drivers of the ride-hailing app in Lagos are being told they must pay a minimum of 100,000 naira ($320) per car to the local government for a franchise license. That’s a massive sum when you consider that $320 surpasses the average monthly salary for an office worker in Nigeria. The minimum wage in the country is only about $60 a month. Annual renewal fees cost at least 30,000 naira ($95) per car. Any unregistered taxi drivers caught without a license can be fined 50,000 naira ($160). Anofiu Elegushi, a spokesman at the Lagos Ministry of Transportation, said these government taxi regulations had previously been in place, but rarely enforced. Drivers must also have adequate insurance and up-to-date safety devices installed in their vehicles, he added. And they must come together in groups — called franchises — to register for licenses. Uber told CNNMoney in an emailed statement that it’s “actively working with regulators” on this issue. The ride-sharing app has seen significant growth in Lagos in recent months. Lagos is the financial capital of the country and boasts an estimated 18 million residents. Uber said Nigerians have taken more than a million trips since it launched 16 months ago. The regulatory move and license fees are expected to significantly dampen driver enthusiasm for the Uber service. Elegushi said Uber is working with the authorities to try to arrange licensing for drivers. He estimates the firm owes the Lagos government 600 million Naira ($1.9 million) in penalties for not having properly registered its business. 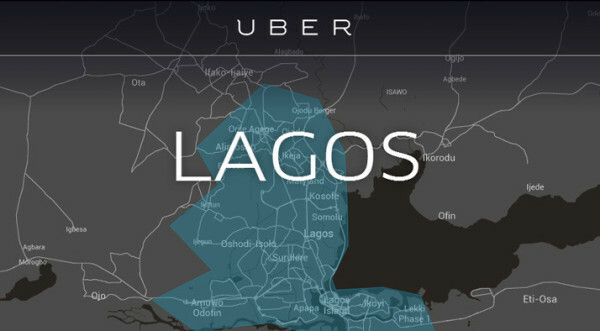 Uber was not immediately available to provide further details about its work with the Lagos authorities.